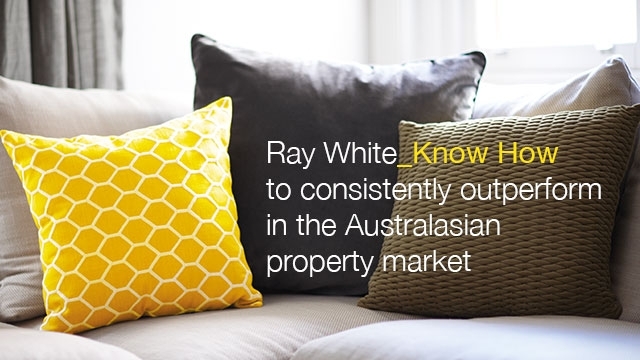 Ray White is a household name in Australasia, a name synonymous with the property and real estate industry. Established in 1902, in the small Queensland country town of Crows Nest, Ray White has evolved into Australasia’s most successful real estate business, nearly 1,000 individual offices across Australia, New Zealand, Indonesia, India, Malaysia, Papua New Guinea, China, the Middle East and Atlanta USA. Last year, Ray White sold over $25 billion worth of property. Ray White today is still a family owned business, now spanning residential, commercial and rural property as well as hotels, marine, property management and property funds investment. When you choose Ray White, you are choosing over 110 years of experience across thousands of agents around Australia, Asia and New Zealand. Ray White Paddington, headed by George Hadgelias has been a top performing office for many years. A licensed auctioneer, George has achieved great success in not only auctioning, sales and property management, but his team is also one of the largest in Ray White. Since beginning his vision over 30 years ago he has lead the team to outstanding success, in not only the surrounding suburbs of Paddington, Red Hill, Kelvin Grove, Ashgrove through to The Gap, but in fact throughout Brisbane. The commitment to continual training, leading edge marketing tools, and fundamental business professionalism underpins the office success. A team of over 20 sales and marketing professionals strengthens the absolute result. Ray White Paddington maintains the areas largest Property Management portfolio. Over 1000 properties are cared for by our office with regular inspections, maintenance and tenant screening incorporating a major focus on the consistent and ever changing tenancy market. Experienced dedicated Property Management staff will maintain all Properties, in all aspects of management. A comprehensive team. A wealth of experience. © Ray White Paddington (Qld). Based in Paddington.